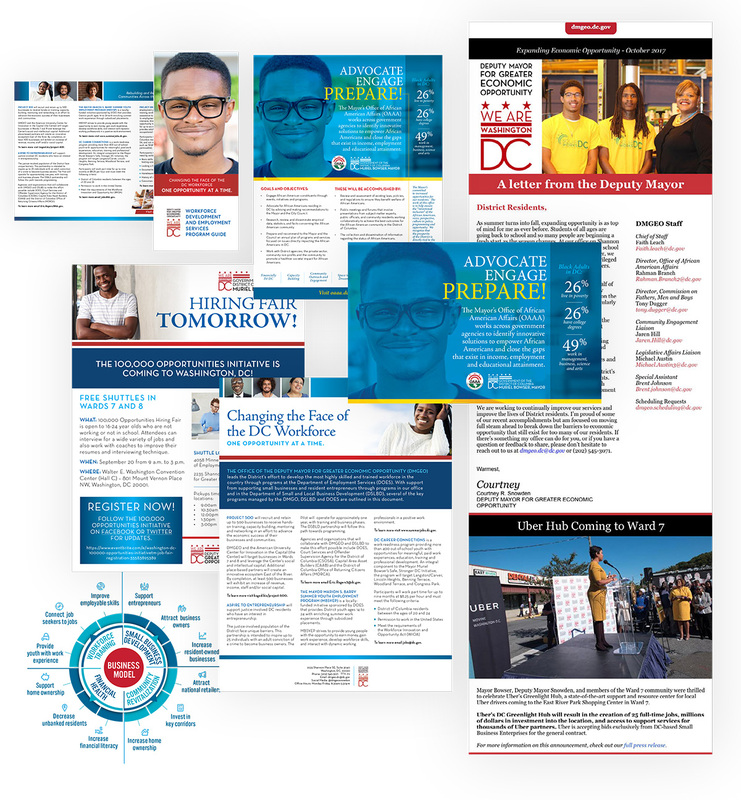 Through an ongoing relationship with Bald Cypress Media, Doyle developed a variety of communications products for the DC’s Office for Greater Economic Opportunity. Print and digital media connect business development opportunities with the general public, educate about programs for new businesses and budding entrepreneurs, and support minority job seekers and business owners in achieving success. Media: Print and digital communications. Services: Design and creative media development.